We’re in the final month of early bird registration for Stronger Philanthropy, CEP’s 2019 national conference. At current registration levels, we’re predicting that the conference will sell out in the coming weeks. If you are a senior leader at a foundation (or a trustee or major donor), please register today to take advantage of the lowest price possible and ensure that you’ll have a seat in Minneapolis come May. Has your foundation worked with CEP through an assessment or advisory services engagement in the last five years? Join your fellow foundation leaders in this learning session exclusively for funders that have participated in CEP’s assessments and advisory services. Drawing from CEP’s research and experience working with dozens of funders, this session provides a unique opportunity to connect with and learn from peers and CEP leaders about using feedback to make positive change and improve your work over time. Has your foundation been in existence for fewer than 20 years, or are you considering starting a foundation, LLC, or other grantmaking entity? If so, join CEP leaders and an exclusive group of peers for a special session that will explore the unique opportunities and challenges of newer foundations. This session will draw upon an upcoming CEP research study on the topic, to be released in Spring 2019, funded by the Leona M. and Harry B. Helmsley Charitable Trust for the 10th anniversary of its founding. Registration for this session is available at no additional cost and open only to foundation staff, trustees, and donors of new or soon-to-be established grantmaking entities. Are you a new CEO in your organization (within the last two years) and would to connect with other new CEOs at the CEP conference? We will be having a separate orientation session to the conference for you so that you can get the most out of your CEP2019 experience. Stay tuned for more details. From these pre-conference sessions to our plenary speakers and breakout session leaders, the conference’s speaker lineup includes influential and inspiring leaders from philanthropy, academia, the nonprofit sector, and the media, each with diverse backgrounds, experiences, and ideas to share. Don’t miss being a part of these conversations! You can visit our conference website at cep2019.org to learn more, and you can contact me via email or at 617-492-0800 x128 if you have any questions. Register HERE today to reserve your spot! Ying Tao is manager, programming and external relations, at CEP. 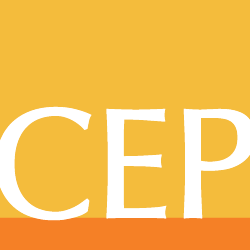 Follow along for conference news, or let the world know you’re attending, on Twitter using #cep2019.